Christmas comes but once a year, as does our holiday gift guide. This year it is bigger and better because this year, there are four of us with unique tastes and experiences, and we’ve all got different recommendations for you all. We can’t ever guarantee that you’ll love our choices, but these games are our top picks. Quality is assured, so if the games line up with your tastes (or, I suppose, the tastes of the person you’re buying gifts for), chances are these will be a hit. You can also check out our previous years gift guides–2012 and then 2011, as well as a guide to stocking stuffers. This year you’ll note that we’ve provided direct links to Funagain.com when such links are available. You can buy from wherever you like, but purchasing from Funagain.com through our links will support our site with a portion of the proceeds from the sale. Thanks, and happy holiday gaming! As always we like to start off on a high note, with the thematic and high-fun-factor games that I love best. This is where the good stuff is, people. It was actually a little difficult to fill out this list more differently than last year, as some of my favorites have definitely carried over from year to year. In the end I settled on these fun five, with only one carryover from last year. Read on for the diciest, spaciest, funniest games between here and the end of this article. 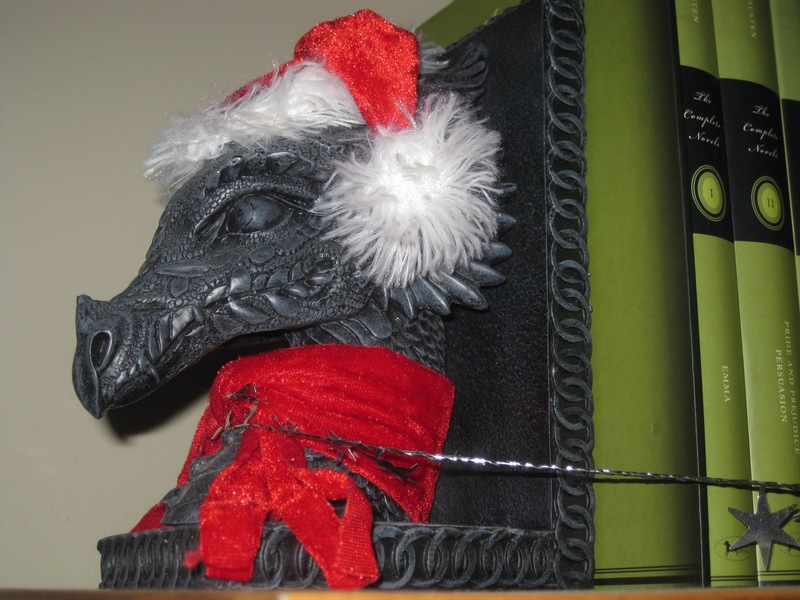 And don’t forget to check out our gift guides from previous years, which are as valid as ever for gift recommendations. 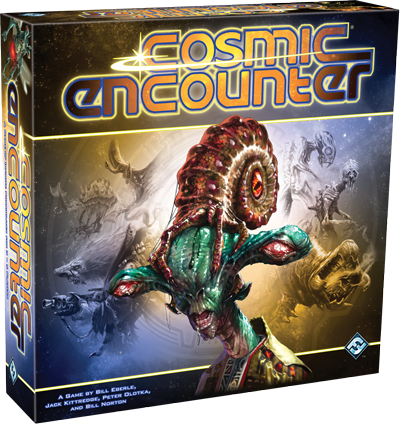 Fast-paced tactical space combat with beautifully sculpted and painted miniatures. What more could you ask for? 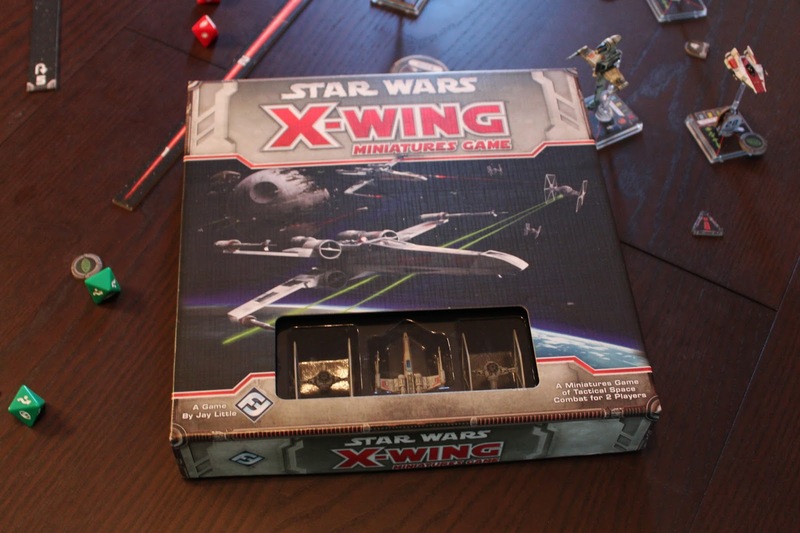 These games are essentially identical, mechanically speaking, with a few minor rules additions in Attack Wing and of course different vocabulary (“Stress” in X-Wing becomes “Auxiliary Power” in Attack Wing, and the like), both are fantastic for their streamlined and easy to learned movement and attack system. The real fun comes with building different squadrons of ships and learning to fly them in formation to devastate your opponents, but a core set is a great way to get your space combat fan started. 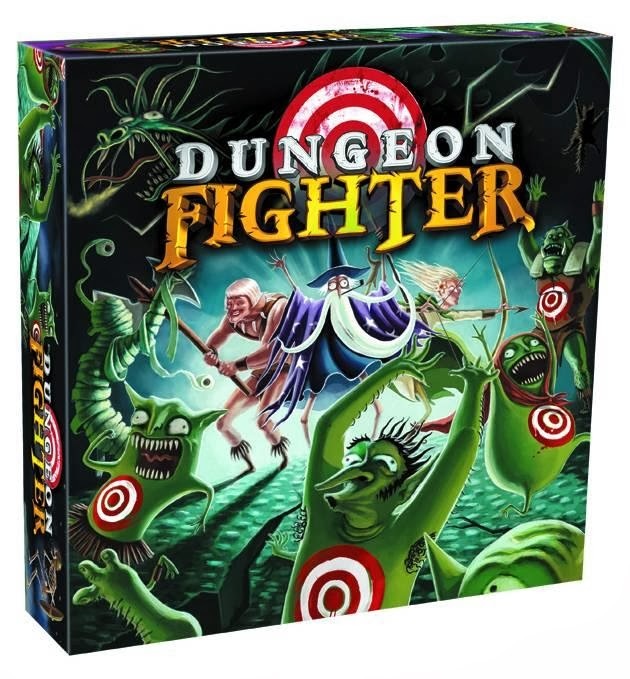 While Dungeon Fighter may sound like an intense and complex game of dungeon exploration and fighting monsters, it’s much more like a party game, and it is VERY silly. To attack monsters, players must bounce dice off the table and land on a target. The closer to the bullseye, the more damage is scored. To make it even more ridiculous, certain monsters, rooms, and weapons require players to add a little flourish to their die toss, such as throwing backwards, blindfolded, under the table, under the leg, while jumping in the air and spinning – and sometimes, the effects stack. It’s a silly good time and it can be fun and accessible to the whole family. It’s a slight risk putting this game on here, because it may not be available soon enough for Christmas. But if for some reason it is not, you wait and buy it immediately when it comes out and give it as a New Year’s present, wedding gift, Valentine’s Day… whatever. This game is a fantastic, quick little game with easy rules. Essentially a race to a finish line (to be the first to escape the ominous “9th Dimension”), players play cards with numbers, colors, and letters. Letters determine the order in which cards resolve, numbers indicate how many spaces are moved, and colors add the twist: how the ships move relative to each other. You see, your engines are broken, and you can only use your tractor beam to pull from or push against the nearest object. However, the nearest object can easily change based on other players movements before your turn, resulting in zany, unpredictable fun. It’s a fantastic game, works as a gateway, plays in 20-30 minutes and is easy to teach. Basically everyone should own this game. [EDIT]: this baby is officially going to be available on December 20th. Last-minute shoppers rejoice! Who to buy it for: Anyone. Pandemic is often considered the reigning champion of cooperative games, and it gets better with each expansion. On the Brink adds more roles and special events, as well as 3 new variants including my favorite – a “mutation” disease that adds to the challenge. In the Lab offers even more new roles and even more variants, including a team game where players score points based on their contributions, and the featured “Lab challenge” that adds a new board in which you must process and develop a cure for each disease. The core game is a blast and the expansions make it even better. Note; Pandemic recently received a brand-new edition. The new edition has much improved art and graphic design overall, but the new editions of the expansions clash with the original. Z-Man Games, the publisher, offers compatibility packs on their website, but they are expensive to ship, and you’ll still find incompatibility – tokens are awkwardly different sizes, a city name changed on the board, and the new disease cubes are small and plastic in contrast to the original large wooden cubes. For those that care about visual aesthetics, it may be best to start the collection over with all new editions, as much as I hate to say it. The lone holdover from previous lists, I just can’t bring myself to take it off. I love this game. It provides a ton of variety, it’s silly, it’s fun, you get to negotiate and pressure and backstab and all sorts of goodness, and yes there is strategy involved, not just blind stupid luck. The alien powers are wild and interact in unpredictable ways, the art is colorful and looks amazing, the ship tokens are cool little plastic UFOs, basically it’s one awesome package that has provided my group with hours and hours of ridiculous enjoyment. It’s not for everyone, but its definitely for people like me. 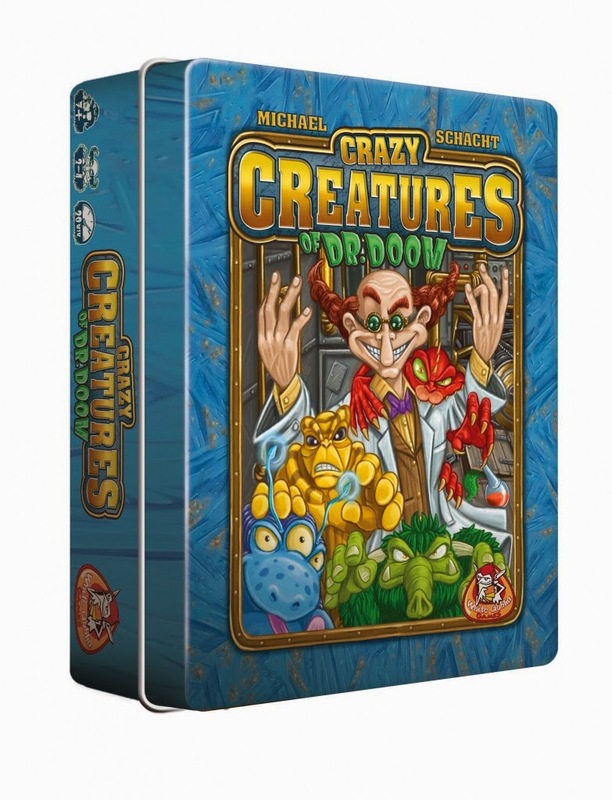 I had to mention this game because I played it at Gen Con, and it was a blast. I don’t know when it will be available–theoretically in December–but this family-friendly game of monsterriffic destruction is the game that gives purpose to what you always wanted to do; tear a city to pieces pretending to be a giant dragon. The game starts with a fully-stacked city made of layered meeples and boards and will collapse to rubble by the end. Why Buy? 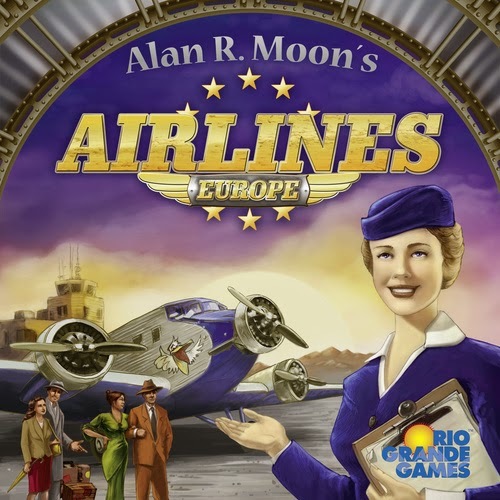 Airlines Europe is a stocks and network-connection game by Alan Moon, and it bears the stamp of another of Moon’s designs, Ticket to Ride. Airlines Europe is more complex than Ticket to Ride and less complex than a train game, but if your family or friends are already familiar with some games in the hobby, they should have no trouble jumping into this one. The game moves along at a brisk pace, and players are constantly involved as each turn consists of a player doing one (and only one) thing. Unlike Acquire, players are given ways to easily jump back into the game. And in addition to being simple to learn and having deep gameplay, the game itself is gorgeous, which doesn’t hurt its case. Who to buy it for? The person new to gaming who wants something a step more difficult than Ticket to Ride, the easygoing economic gamer who wants a stocks game without the endless calculations, the world traveler (or wannabe). Who not to buy it for? Those who find Uno difficult to sit through. Why Buy? Hanabi won the 2013 Spiel des Jahres–and with good reason. The game is fantastic. It’s a short game, but it feels complete, even at just twenty minutes. 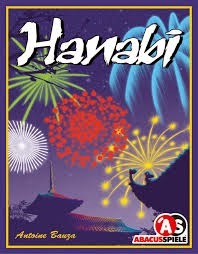 Hanabi is a cooperative deduction game. Players are trying to play numbered cards in order to make a grand fireworks spectacle. The catch is that each player can see everyone else’s cards but his or her own, and there are a limited number of clues players can give to direct the group. This game is great for just about any group–those who are used to hobby games and those who aren’t. Who to buy it for? Everyone. Didn’t you see I said it won the Spiel des Jahres? That means just about anyone will enjoy it. Who not to buy it for? Those who already have it, those who lack deductive reasoning skills. Why Buy? 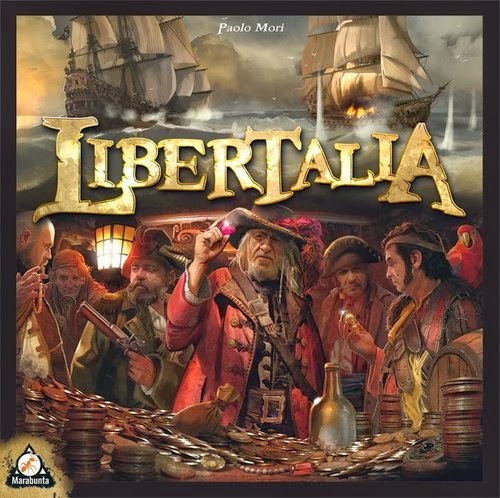 Libertalia is a simultaneous role selection/auction game for 2-6 players wherein players are pirate captains dividing the booty on a ship. Each round players will have crew members to play, and whereas all players have access to the same cards, the order they play them in will be different. Libertalia has a great balance between player preparation, bluffing, and the joy of revelation. Libertalia is fun in a box, and it hasn’t fallen flat for any group I’ve brought it out for. The fun that this game engenders is a reminder of why we play games in the first place. The card text may be a little hard for beginners (or kids) to understand, but most people should catch on to this game quickly. Who to buy it for? The guy or girl in your group who loves battles of wits, the Poker player, the theme-loving person, the game group organizer. Who not to buy it for? The guy or girl who has trouble picking up on social cues, those who hate pirates. Why Buy? Spyrium is my choice this year for a gamer’s game. Spyrium has many things going for it. It has a fascinating market system for determining costs of cards. The game plays fast because there are only two resources to worry about (money and spyrium). And the game has a small footprint (and pricetag) because it is mostly cards and small components. I have loved every play of this game, and I’m still itching to play it more. This one is a little thinky, but it’s rewarding if you stick with it. 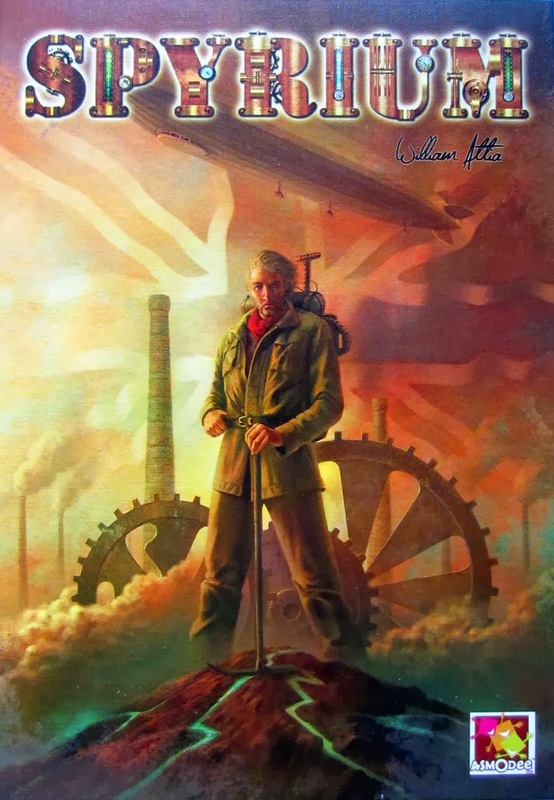 But please don’t buy it for its steampunk theme. This game has nothing to do with steampunk. Who to buy it for? The Euro gamer, the card game engine builder, the CCGer. Who not to buy it for? Sally Steampunk (unless she is in a category listed above), casual gamers. Why Buy? Innovation is a mind-bending experience in the best possible way. 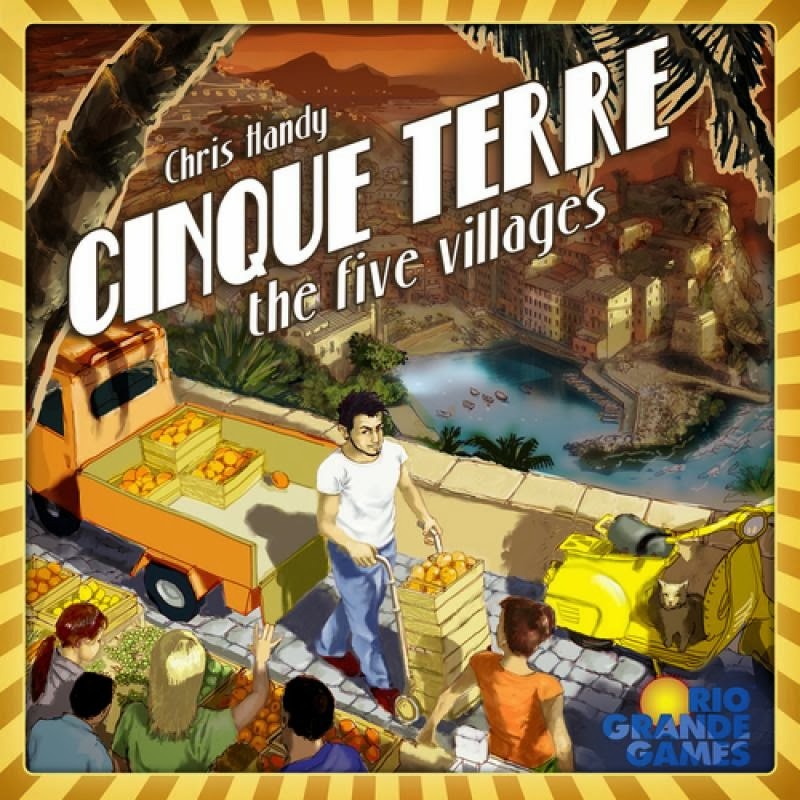 In typical Carl Chudyk fashion, Innovation takes a familiar genre of game (in this case, civilization-building), inserts an incredibly novel and interesting card-play system, shrinks the playtime (in this case 30-60 minutes), and delivers a satisfying game experience in a low-carbon-footprint box. 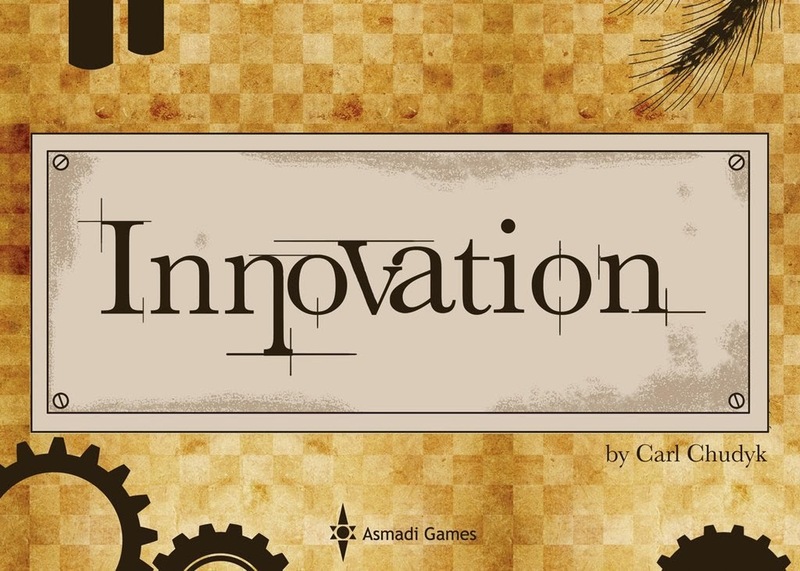 Innovation has very simple rules, but each of the 105 cards in the game has a unique special power. This can be a problem for some, and it’s better to learn how to play with an experienced player (I would imagine–I had to teach myself), but this is a rewarding game experience that is never the same twice. Almost endless replayability is included in the box. Who to buy it for? The brain puzzler, the person who likes cards with multiple uses, the gamer, the CCGer, the Carl Chudyk fan, the civilization builder. Who not to buy it for? The faint of heart, those who only like games that are several hours long. If you’re like me, you know lots of different folks from all different kinds of molds. No worries…I’ve got you covered! Here’s a little something for all the gamer types on your list this year! Why Buy? These two titles, cut from the same cloth, incorporate cooperative mechanics in which all players work together to discover and survive! Forbidden Island is lighter and quicker and more accessible for kids as you all race to collect treasures and escape a sinking island in true pulp fiction style! 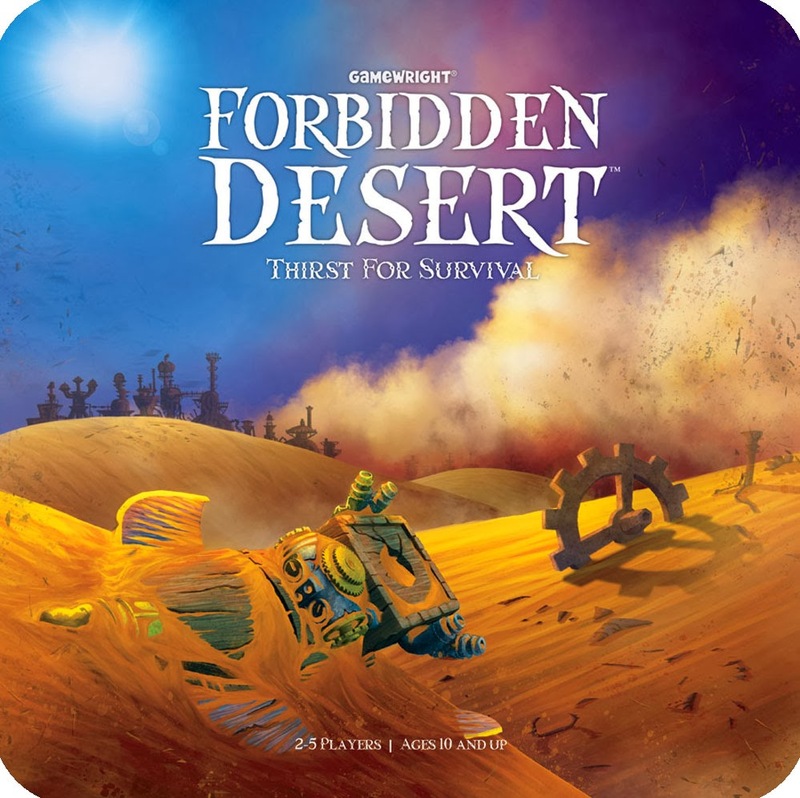 Forbidden Desert is just as accessible, but much more challenging as you race to unearth parts of an ancient airship and fly away before a raging sand storm buries you. Both are straight from the screen of an adventure film! And both are unbelievably priced for the production quality and fun value they offer. Why Buy? This light strategy game is a pick-up and deliver design, tasking players with traveling to crop fields to harvest produce and then to five towns to sell them and then back around again to fulfill various orders and earn money. 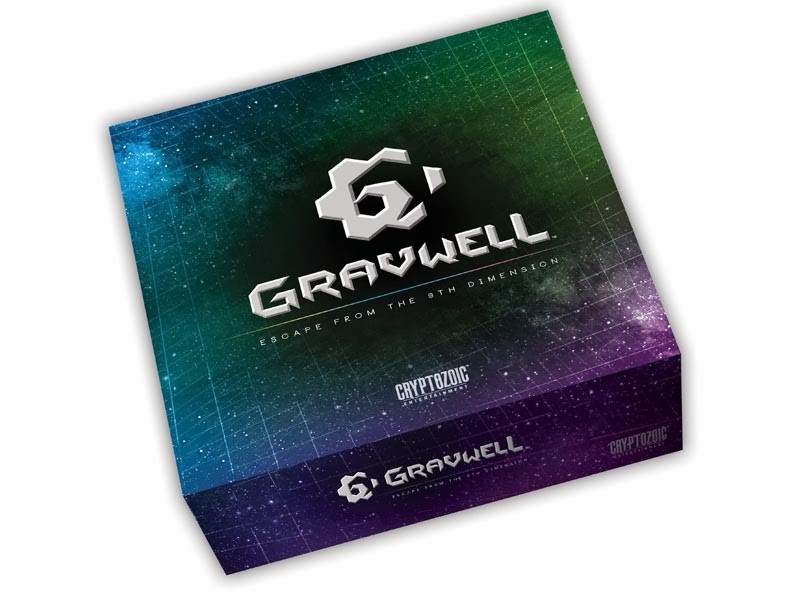 It is a so-called “gateway game” – perfect for introducing the hobby to new people. It has a recognizable set collection element; simple, yet intuitive action selections; little downtime; offers meaningful choices; plays in about an hour; and is absolutely gorgeous with vibrant artwork, colors, and cute wooden truck carts. Why Buy? This is a simple, streamlined dudes-on-a-map war game covering one battle at a time. It uses an intriguing card mechanic to activate units for both movement and combat. While straight-forward, it also offers tough decisions and tactical subtlety. The production value is top-notch with cool minis and custom dice. It is a versatile design – the base game includes several scenarios, variable terrain tiles, and an assortment of units and defenses. Plus there are dozens of expansions so that you can add-on according to your wallet’s limits and heart’s desires! Why Buy? If you know someone who enjoys Chess or deck-building games, this unique design is a good choice. If you know someone who enjoys both of those, then this is a great choice! 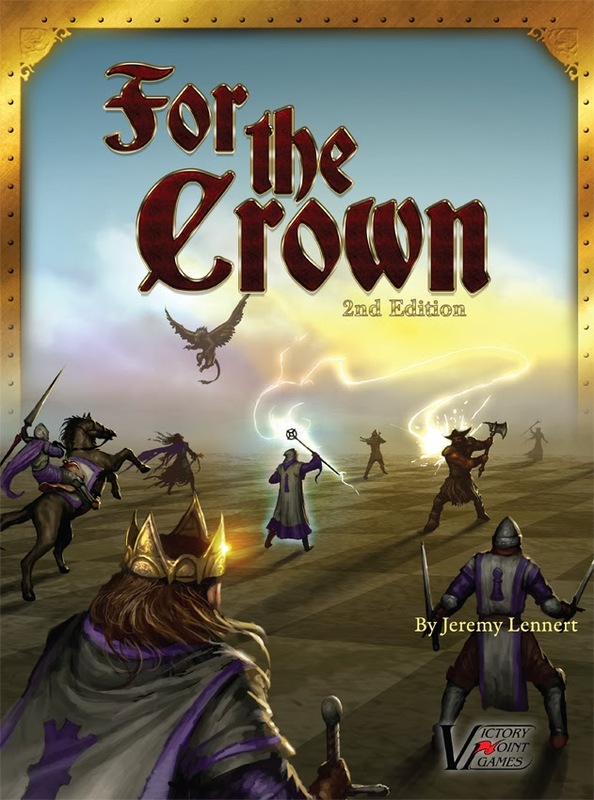 For the Crown combines deck-building to buy cards which you’ll manage in order to buy more cards that all let you eventually recruit, move, and attack with pieces on a Chess board – both traditional units and others exclusive to this title. It has quite a learning curve, is for only two players, and can take a while to play. However, this very innovative design is chock-full of strategy and brain-burning delightfulness. I tend to prefer long heavy euro games but when I’m playing with my family or introducing someone to the hobby I value quicker games with simple a rule set. As much as I would love to recommend the latest heavy euro I don’t think they make great gifts. Here are some great medium weight games perfect for the holiday season with your family. The title is a mouthful but this game is actually a streamlined 2-player version of the classic Euro heavyweight Agricola. Players are still farmers but focus exclusively on raising adorable animeeples and expanding their farms to hold them. All Creatures maintains the tension of competing for actions on a shared board but with a shorter play time and no crops to grow or mouths to feed. This offers the great experience of Agricola in a bite-sized package. Who to Buy It For? 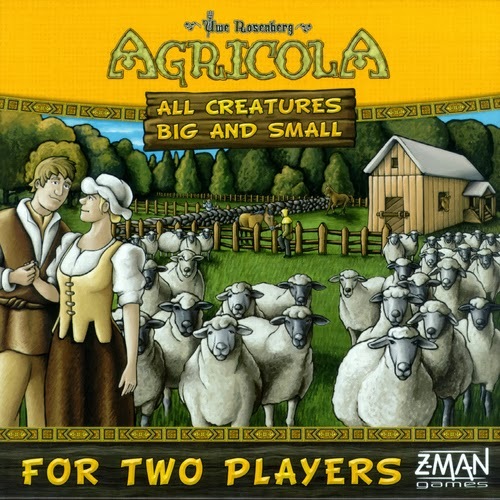 Agricola addicts who want a great 2-player filler. Anyone who thinks animeeples are awesome but dislike heavy euros. Who Not to Buy It For? Someone who wants a heavier game, just stick to Agricola. If you’ve been looking for a great game to get for the fishing enthusiast in your life then look no further. 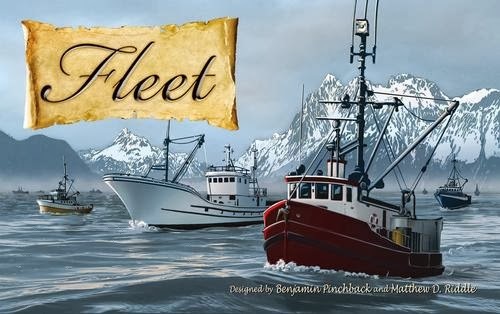 Chance are they won’t already own a game about running a shipping fleet in Canada. It combines auctions, clever card management, and sending out your ships to fish the high sea. Fleet encourages calculated and efficient spending of money to end up on top. With only a couple of decks and some cubes this is nice a compact for the gamer on the go. Who to Buy It For? Fishing and efficiency lovers. Who Not to Buy It For? Someone looking for a deeply immersive fishing simulator. Guildhall takes a standard set collecting card game and gives it a twist by providing more powerful abilities as sets grow. Add in the ability to mess with other players and use the cards they have in play to collect your own sets. You have to stay flexible and change your plan as new cards enter your hand and play. 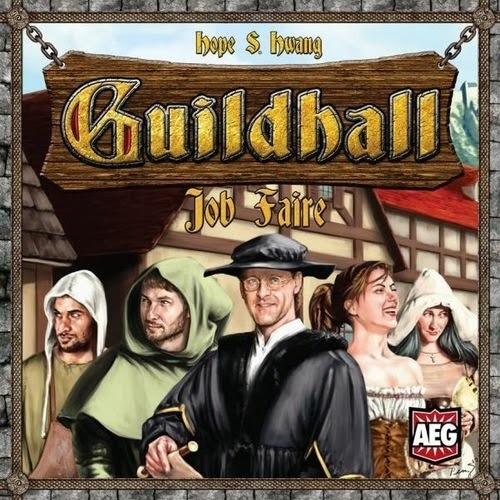 Guildhall offers lots of room for creative play as each profession provides a unique power. Grab some farmers for points or traders to take advantage of your opponents cards. There’s plenty to love in this quick playing card game. Who to Buy It For? Traditional card players that want a fresh twist. Who Not to Buy It For? Anyone who needs to be in control. We’re not going to recommend Dominion again but for those who love variety and simple rules we’ll include another Donald X design. It’s got the trademark variable setup with a map, abilities, and scoring cards that change every game to challenge players to adapt to unique combinations. 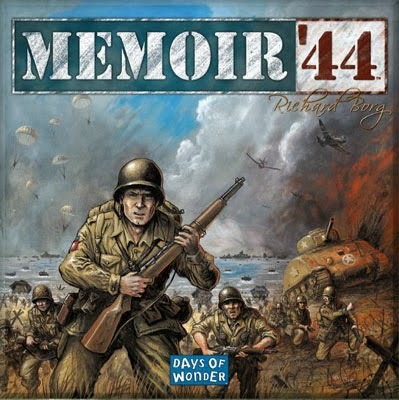 Each game present a new puzzle with a good mix of interaction and tactics. 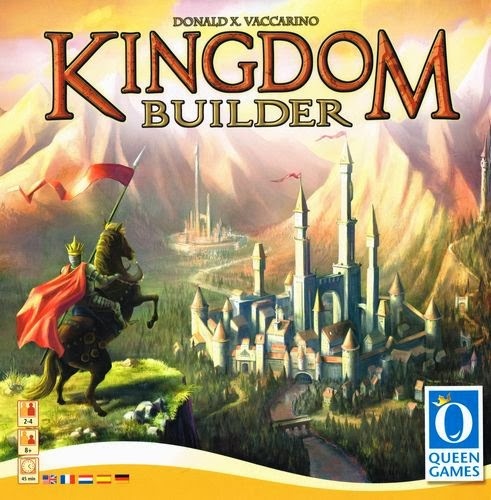 Restrictions to placement allows Kingdom Builder from bogging down like a traditional abstract. Special buildings give players plenty of control to get around these limitations but still keep things moving quickly through the end. Who to Buy It For? Abstract and puzzle lovers. Those who love variety. Who Not to Buy It For? Wargamers, players wanting a heavy game. For a change of pace I’ll throw in a light game that you can pull out with your family and play in 15 minutes. 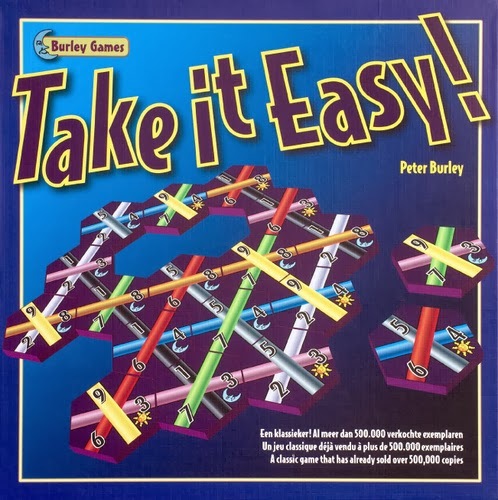 Take It Easy gives everyone the same pieces to play on their boards in the same order and sees who can play them the best. The pieces have three interesting colored lines and completing a line of the same color across the board will score at the end of the game. Not all the pieces get used each game so you never know exactly which piece is coming next. This leads to a light, fun, and interesting game that’s great for your whole family. Who to Buy It For? Your family. Puzzle lovers. Who Not to Buy It For? 3 hour gamers. Kingdom Builder and Spyrium are just starting to enter the periphery of wishlist. Will have to take a closer look, as both seem somewhat polarizing. Pictureka is one of the greatest board games ever, and it’s quite adabatple for a number of audiences and for team play. In a Pickle is another great one, also appropriate for a wide range of players. Plus you can’t beat the classics: Connect Four, Checkers, and Chess are the most popular games at our gaming events here at Wayne County Public tabletop or otherwise.